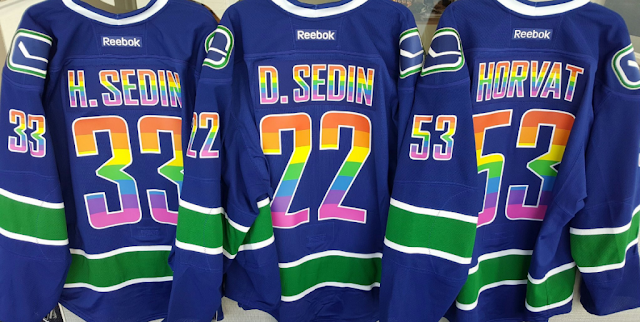 News item: The Vancouver Canucks will wear rainbow-coloured "Pride" jerseys. So here's the scoop. Vancouver's NHL hockey team is going to wear "rainbow" hockey sweaters in their practice session on February 28th of this year (2017). One veteran player told a reporter that the team's message was that anyone can participate in hockey. "Gay people, LGBT people, people of any gender identity...all are welcome to the game if they can play hockey." We want to make money by securing and expanding our base in this, the LGBTQ capital of Canada...this welcoming, tolerant, inclusive and accepting city, the San Francisco of the Great True North, Weak and Free (to do whatever feels good at the time). We welcome family-oriented ticket-holders to sit and watch our team regardless of how they define family. (That's good to know because I have always wanted to bring my Significant Other to see a hockey game at GM Place. Barney, my Lab Retriever, has never seen a game live). Yep, we have come a long way, baby. 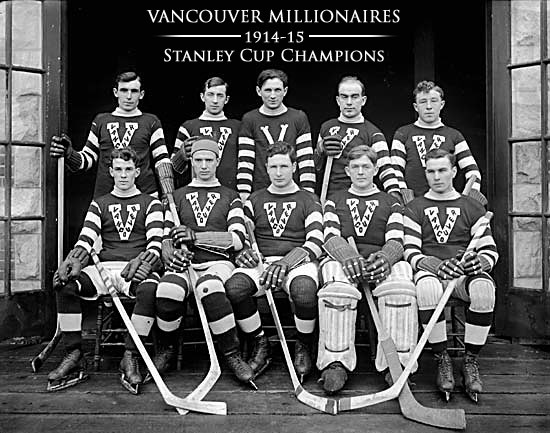 If only the 1915 Stanley Cup Champion Vancouver Millionaires could see us now. Who could imagine that in the span of a century, men would be skating in drag. While the Canadian men in the trenches wore khaki, men in Canada today can wear uniforms decorated in gaudy rainbow colours. Perhaps Canadian Forces personnel will follow suit. I know that it would impress jihadists. I guess that is what happens when you become to a "propositional" state. Once men were men, but now men are undecided. "In the first period, I was a man, but in the intermission I realized I was always a woman inside. So I came out in the third period as a new man, I mean, a woman. At least for now, as I can feel that there are other identities in me waiting to burst out and blossom." No doubt there are men in Hockey's Hall of Fame who are on the brink of requesting that their names be changed to match their present gender identity. Wayne Gretzky will come out as Hayley Wickenheiser and Hayley Wickenheiser will come out as Wayne Gretsky. But who cares, like the veteran Canuck player said, if you can play hockey, nobody should care what gender identity you assume. I am sure if a former male team-mate had sexual re-assignment surgery, she would be welcome to shower with the team. At least in the shower room adjoining the Canucks locker room. How did Vancouver climb this mountain to the peak of enlightenment? What were the benchmarks of this ascent to moral depravity and cultural disintegration? When and how was a mental disorder re-branded as a lifestyle choice? How did schizophrenia become gender dysphoria? How did little Johnny become the many faces of Eve? 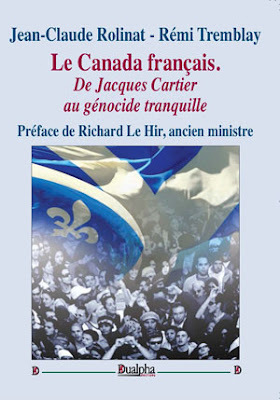 In fifties and sixties, 65% of city residents were of British origin, and 30% of continental European descent. When you strolled through Stanley Park, you could hear every European language, and sometimes, a few Chinese and South Asian voices too. In other words, having a common Christian-based world view, metro Vancouverites were on the same moral page. Those were the days when we left our doors at home unlocked, and the windows of our cars down when they were parked at English Bay on a hot sunny summer day. Then along came the late sixties and we weren't leaving our doors unlocked anymore. The growing drug trade drove petty theft ("Can I have a toke, man?"). And by the end of the seventies, it was unfashionable to smack your kid on the bum to terminate a public temper tantrum. The Dr. Spock generation took a hands-off approach to child-rearing, leaving their kids free to mouth off to lifeguards, theatre ushers, and teachers, and run amok in restaurants and aboard BC Ferries ships. Children grew bolder when they realized that the Ministry of Children and Families was standing over their shoulders. They were the first generation to grow up without an extra pair of eyes watching them. Gramma and Grandpa were living in another city or province. Home invasions and gang shootings became the staple of the nightly news. Ah yes, I look upon those later decades with fondness. They were the decades when parents were encouraged to feel no inhibitions about flying the coop and abandoning their kids because "children are resilient." And Asian gangs were just a feature of the growing pains that we must tolerate to reap the benefits of diversity. I remember feeling proud after reading a report about a female youth gang swarming and beating a victim near a Skytrain station. Obviously the gospel of women's empowerment had filtered down to the grassroots level. In the 80s, Vancouver Mayor Mike Harcourt declared that Vancouver was a "nuclear-free zone," forcing the Soviets to strike Vancouver off its target list. They only had 40,000 nukes to spare after all. This was a testament to the enormous influence that Mike Harcourt had on world leaders. Then Vancouver was dubbed "The Gateway to the Pacific." It could better be described as "The Floodgate to the Pacific." Then Vancouver was described as "A World in a City." It was more like "Hong Kong in a City." Then Vancouver Mayor Gregor Robertson called it a "Welcoming City." No kidding. Then Vancouver Mayor Gregor Robertson advised that Vancouver become a "Sanctuary City." In other words, the City's chief lawmaker wanted to make his City a haven for law-breakers. Then following in Mike Harcourt's footsteps, Mayor Gregor Robertson ostentatiously participated in Pride Day, and saw to it that the rainbow flag flew at City Hall. Then the Vancouver Canucks announced that their players would wear "rainbow" hockey jerseys with pink numbers and decorate stick blades with rainbow colours. Then Vancouver Mayor Gregor Robertson declared that his Welcoming City did not welcome Pastor Franklin Graham. His "homophobic" gospel violated Vancouver's "values." Nor should his Tolerant City tolerate a diversity of ideas, because some of them didn't fit Justin Trudeau's "Canadian values" either. Oddly neither of these progressive crusaders seem to be bothered about the hateful anti-Canadian vitriol dished out in mosques. It was then that I remembered why I finally fled the City. I am no longer a Vancouverite nor indeed, a Canadian. I am not welcome because the self-appointed arbiters of what is or is not Vancouver or Canadian "values" have more or less told me so. Exhausted, sad and defeated, unable to recognize the country that I was born in, I have concluded that it is time that I should be laid to rest. In fact, I have already laid out my best suit for the occasion. I can't fully describe it here, but let me give you a hint. You won't find any pink in my wardrobe. And the rainbow flag will not cover my coffin.